Submarines of this type served in the German (UB-1 class), Austro-Hungarian (U-10 class) and Bulgarian navies. Preceded by the UA and succeeded by the UB II class (SM UB-18-47). 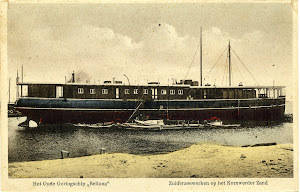 Building ordered on 15 October 1914, laid down by AG Weser, Bremen, Germany with yard number 224 on 9 November 1914, commissioned on 11 April 1915, handed over to Austria-Hungary on 14 June 1915, commissioned as the SM U-11 on 18 June 1915, handed over to Italy as war reparations in 1918 and scrapped at Pola [nowadays Pula, Crotia) in 1920.